The 4-part MSS system might be a great solution, depending on your needs. Military-grade, -30 to 50deg, all-weather, all-climate capability comes at the expense of some compromises. Inefficient and heavy gear, but undeniably well-built and field-tested. For REMFs or car campers in any weather it's the business. For traditional soldiers, hikers, and mountaineers it's worth considering. For fast and light travel by special operatives, alpinists or thru-hikers, there are superior options on the market at a variety of price points. As long as there are Modular Sleep Systems (MSS) available online and through surplus markets, I won't be using, nor recommending the use of any other system. The MSS is just that, a SYSTEM. It's modular and will adapt to whatever environment you may find yourself in. The quality of the materials used and manufacture of each component is high. This is definitely hard-use kit. The bivy is excellent, and I can think of one particular night mission where we bedded down in the dark on a rainy night and woke up in the middle of a small stream...still entirely dry. The bivy is a shelter in and of itself, cutting wind and water out of the equation completely. The patrol bag is nice and light, and can compact well. Even though it is the light bag, it is still a very warm sleeping bag. With me living in the American Southwest, the patrol bag is more than sufficient for most outings. The intermediate bag is larger and heavier, but the warmth it provides makes it all worth the expense. During the winter, knowing how cold the desert can be at night, this is usually my bag of choice. When the entire system is integrated (patrol bag, intermediate bag, bivy) you have an extremely warm sleeping system, more than capable of handling temperatures below freezing. No wishful thinking, optimistic temperature ratings here--this system is tested and rated by the Army's testing labs in Natick, Mass. It's a roomy mummy with a big footbox, tough zippers, and is machine washable. Plus, like Wiggy's, they're made in the USA. No horrid Communist Chinese factory output with this product. And, it's low key--the latest version has two shades of green for the bags and ACU digital camo for the bivy. The version up until about 2005 has one black bag and woodland camo. No painfully bright colors here. Look out for, and avoid, the cheap Chinese knock-offs. You'll find both the real and wannabe versions on eBay. The real deal is made by Tennier Industries. All in all, a compact, superbly-designed and built bag. Best of all, it's warm, warm, warm! Source: Issued through the military. Was able to keep it, after I got out. It comes in three to four parts, where you can sleep in one part, two parts, three parts or four. I have slept in it all together and I had to open it up sometime during the night because I had gotten too warm. Come to find out it had gotten below freezing that night. I have also slept in just one part, the temp was at around 100° to 110° that night. Although it was hot, I was comfortable. Compresses down to about the size of a basketball, although it could probably compress smaller. Three to four parts. Easily cleaned and cared for. Varying temperature range. Welcome to Trailspace, Steve! Thanks for sharing a review of your MSS system. Great first sleeping system (with two pads). Horrible for backpacking. I recommend the MSS to all my Boy Scouts. A used MSS paired with two foam pads is BY FAR the best value in sleeping gear. 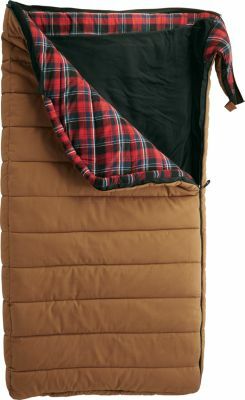 A synthetic-fill sleeping bag and two dimpled foam pads are best for most Scouts. Both are cheaper, rugged, easier to wash, and handle wet/dirty conditions better. Both can be used with better and/or cold-weather gear you can buy later. 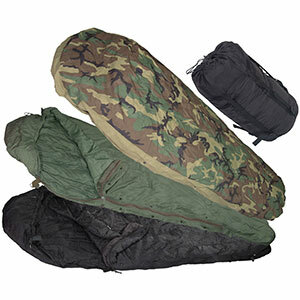 Consider first the military's 4-piece Modular Sleep System (MSS, two sleeping synthetic bags, Gore-Tex bivy, and stuff sack, made in USA by Tennier Industries). With two bags you can pick a one for summer or double up for spring/fall. This combo is a great value, tough, and rated -30°F (when all are used with clothing and pads). Later, you can still use the outer bag and bivy with a down inner bag. These run ~$80 from eBay used and shipped (recommended). For pads, you’ll need R=3 summer, R=6 at freezing. Consider first two corrugated, full-length, foam pads, such as the Therm-a-Rest RidgeRest (R = 2.8, $20). Thanks for the gear recommendation for Scouts, Kevin. Do you have any pictures of an MSS system to show others who may not be familiar with it? Personally test, constantly used, tough as nails! I have personally used this sleep system more than a hundred time, both while I was in service and now as a civilian. It was my first purchase (of military gear) the week I had to turn in my Army issued MSS, right before retiring. It's warm, tough/durable, and with the bivy bag it's water tight. Now, a lot of people complain about its weight (being around 10-12 lbs all together), but I am 6' 4" and 255 lbs, and I never even noticed when it was in my ruck. 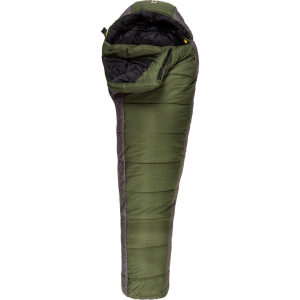 I know there are a lot of "similar" type of sleeping bags out there, but once I found the MSS I would never want to even try something else. BTW, I searched for an affordable MSS when I first retired, and it only took me ten minutes to find one used but in good, usable condition (had some small snags and sew marks from previous soldiers name tapes) for $47.25, with premium shipping and tax it cost me a total of $67.04! Tell me you can beat that, and I'll call you a liar. If you have the opportunity to buy one of these, at an affordable price (list is well over $400) than JUMP on it! Welcome to Trailspace, Steve. Thanks for the review and for your service to our country. Great value, flexible, a little heavy, but extremely durable. This system is exceedingly durable and very flexible. A huge bonus for this system is that depending on the conditions you can get by with either bag or both to cut down on weight. The bivy can almost be a tent in itself in a pinch. It is a little heavy and their are better performing lighter weight options available, but for the price this system is a very safe purchase that will perform reliably for years. The U.S. Military Modular Sleep System MSS is not available from the stores we monitor.